Brugada syndrome is a rare genetic entity caused by a malfunction in some cardiac ion channels, which predisposes to the development of ventricular arrhythmias. 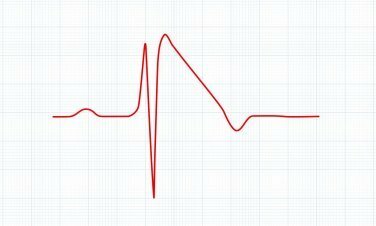 These arrhythmias can cause syncope, cardiac arrest or sudden death, often being the first manifestations of the disease at any age. Clinically, the entity is identified by a characteristic electrocardiographic pattern consisting of a ST segment elevation ?2 mm in more than one right precordial lead (V1-V3), gradually descending and followed by a negative T-wave. The prevalence of the disease in the general population is estimated in 5 in 10,000 individuals, although it could be higher. Its inheritance pattern is autosomal dominant. Patients with electrocardiographic diagnosis of the syndrome (type 1 pattern), whether spontaneous or by stress test. Patients under diagnostic suspicion: subjects with a personal or familiar history of sudden death, subjects with a history of syncope of unknown origin and subjects with ventricular fibrillation of unknown origin. Relatives of patients with a genetic diagnosis of Brugada syndrome. The probability of detecting a mutation likely causing the disease in a patient under suspicion of Brugada syndrome is approximately 30%. The panel includes the main gene associated with the Brugada syndrome (SCN5A), as well as a group of genes with clinical and functional evidence of association with the entity. According to some series, around 5% of cases in which mutations in SCN5A are not identified can present mutations potentially associated with the syndrome in the group of genes additionally included in this panel.